The color is a deep purple with and iridescent purple accents. 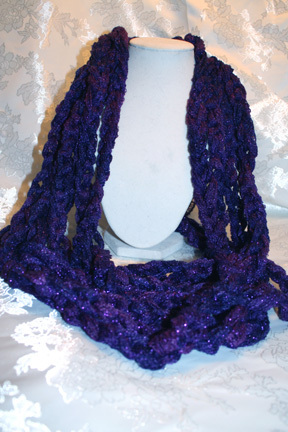 This scarf is in the chain pattern. The cost is $20.00.